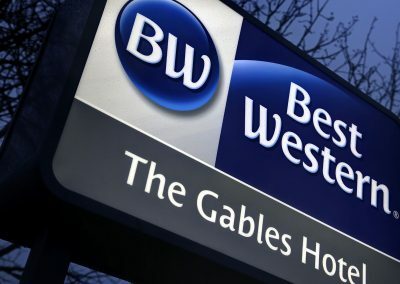 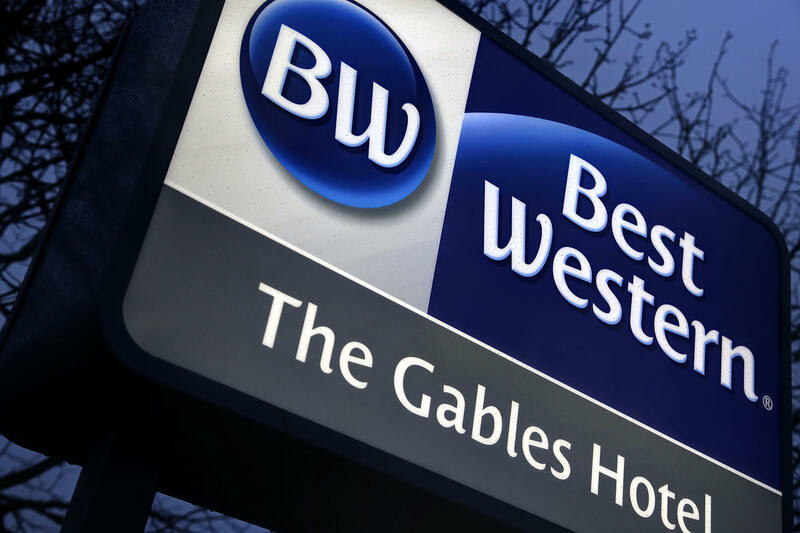 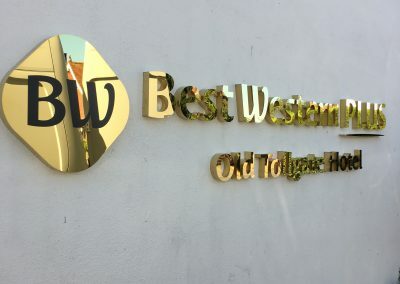 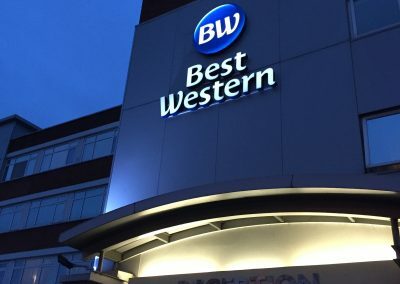 Best Western Hotels & Resorts announced their global re-brand in 2015, unveiling a completely re-imagined brand identity that differentiates between Best Western, Best Western Plus and Best Western Premier. 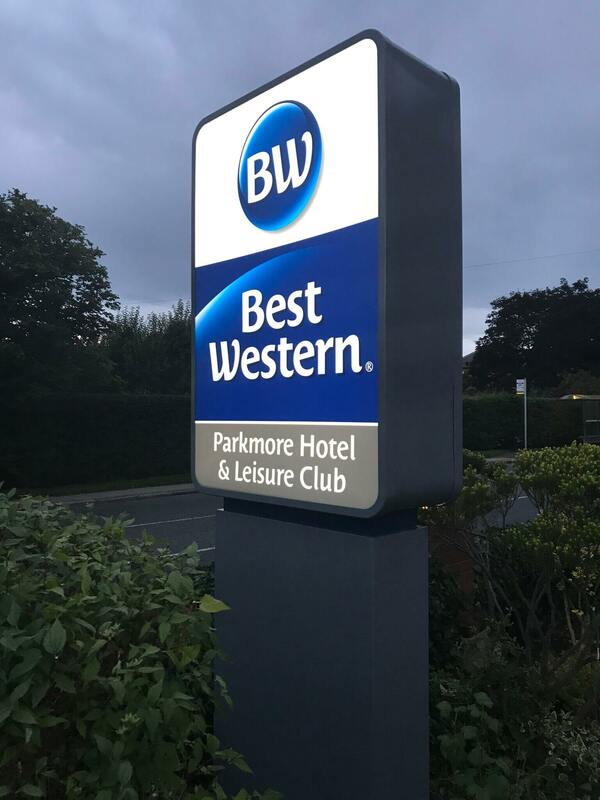 The familiar, recognised logo underwent a dramatic change to a more contemporary, modern look which reflects the exciting improvements to the well-loved brand. 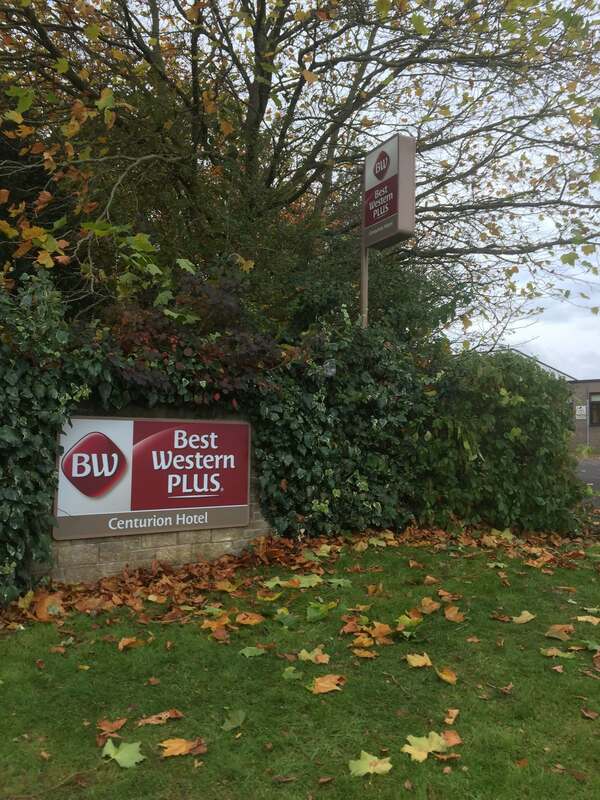 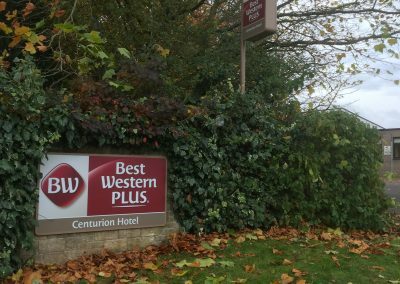 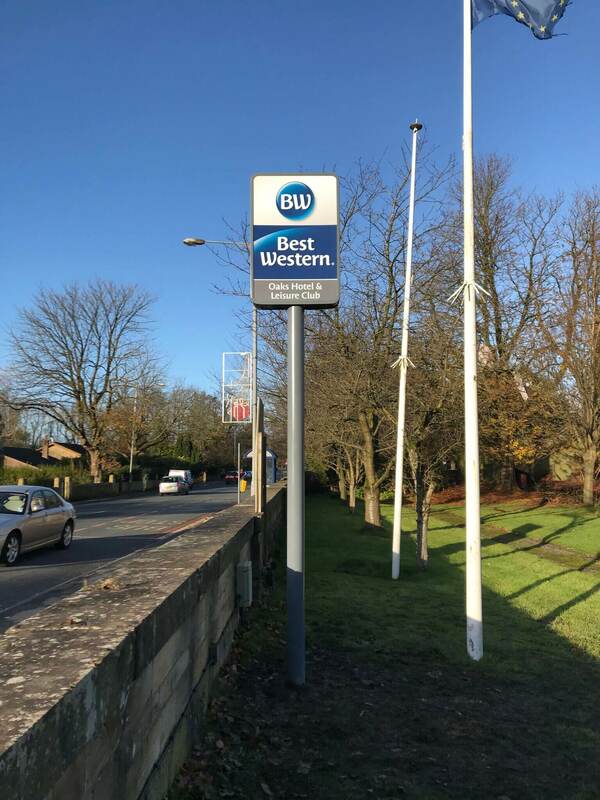 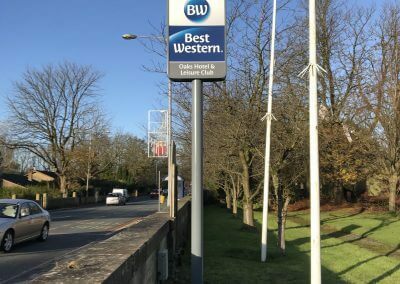 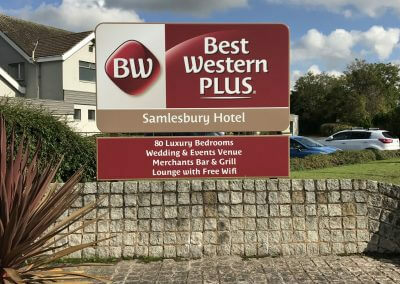 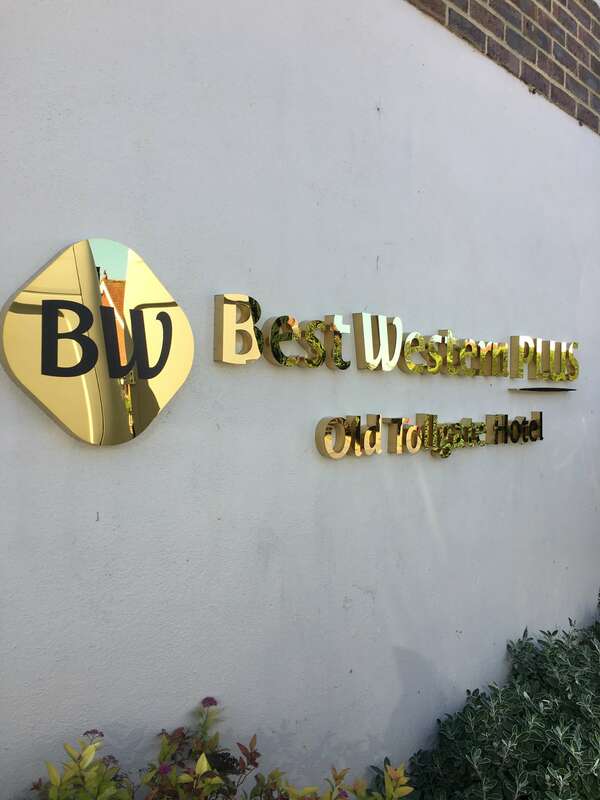 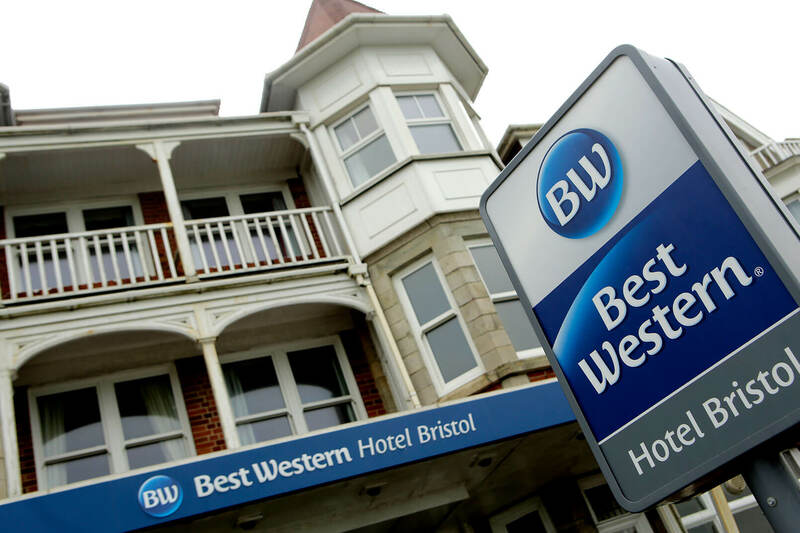 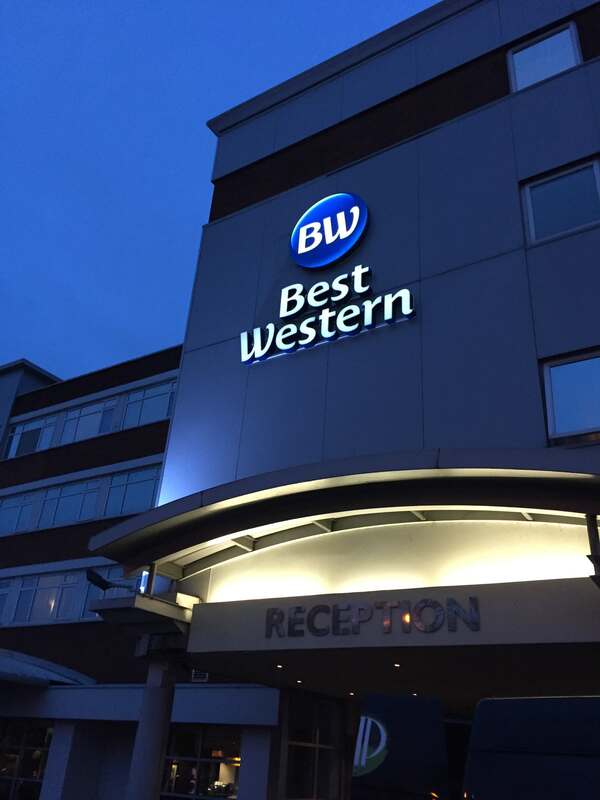 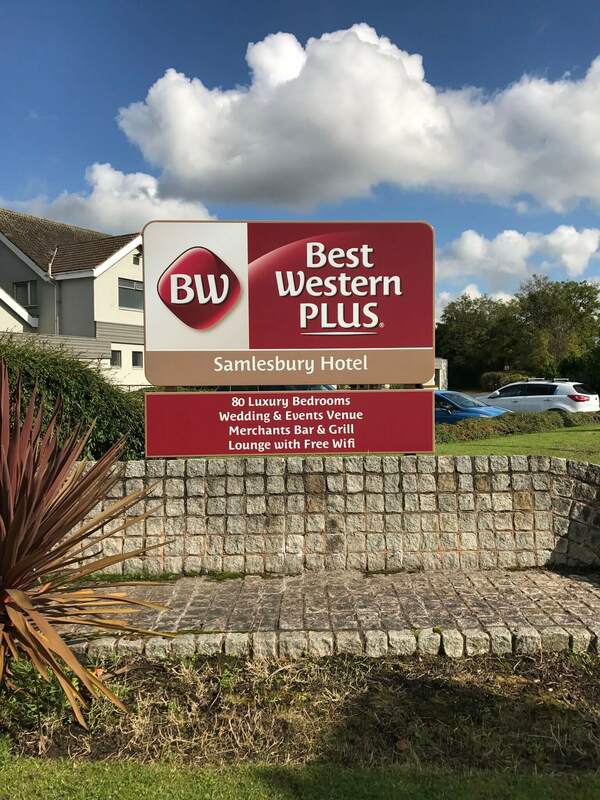 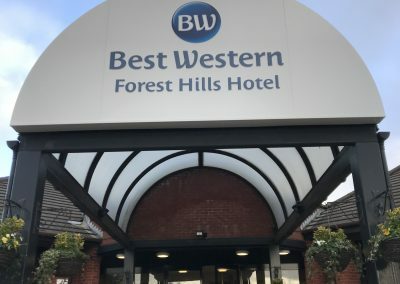 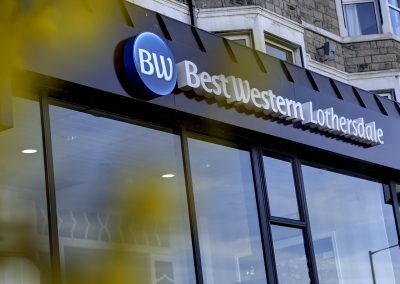 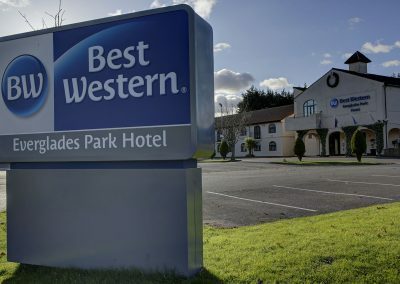 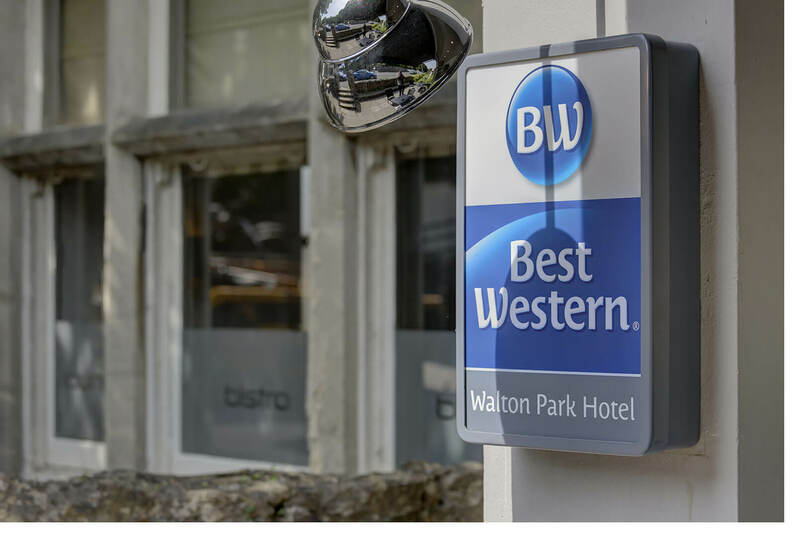 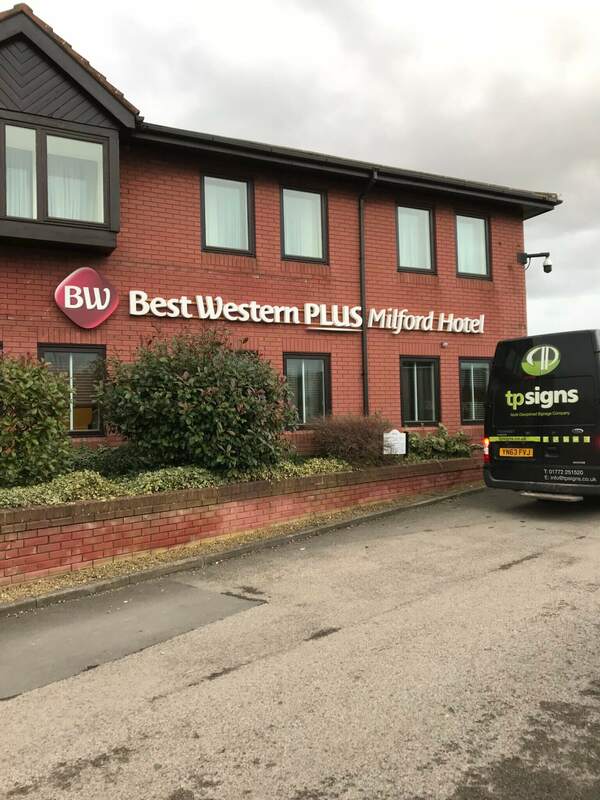 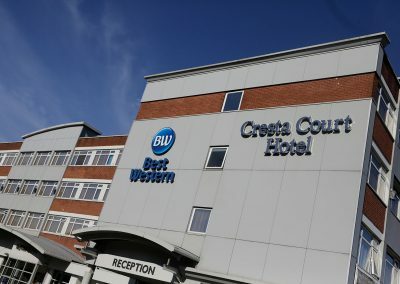 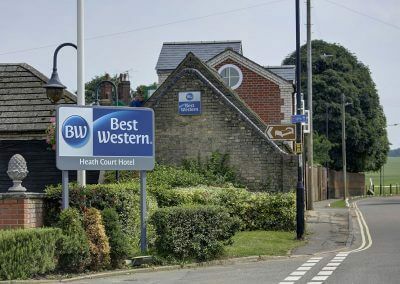 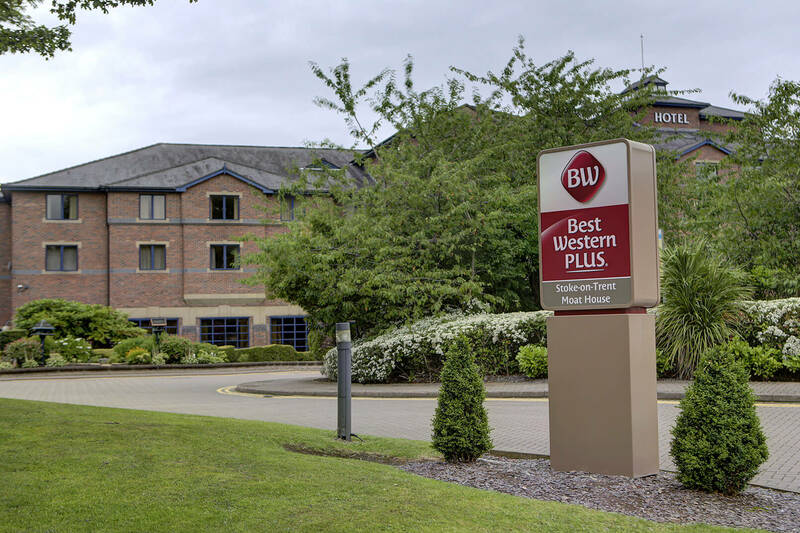 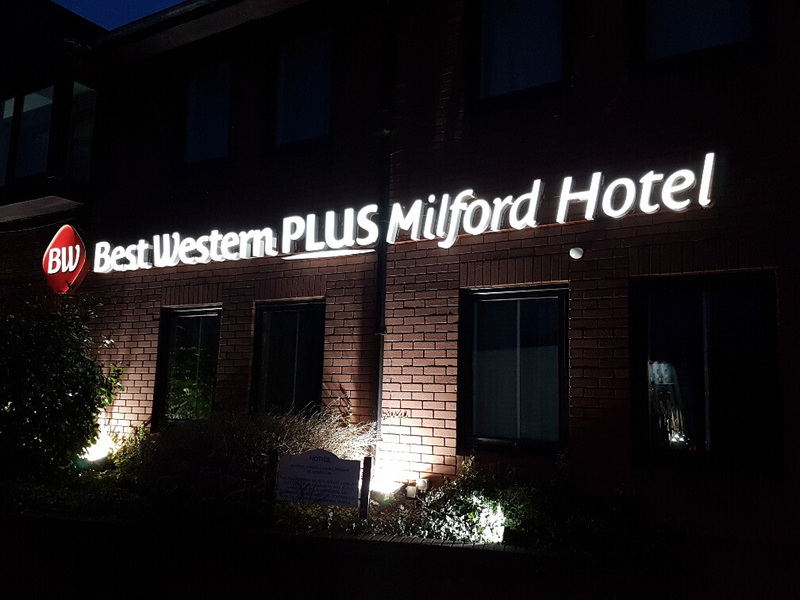 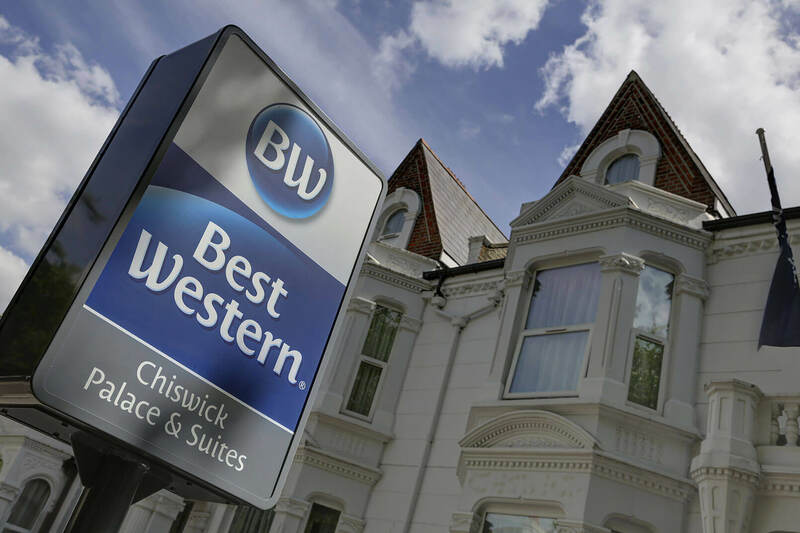 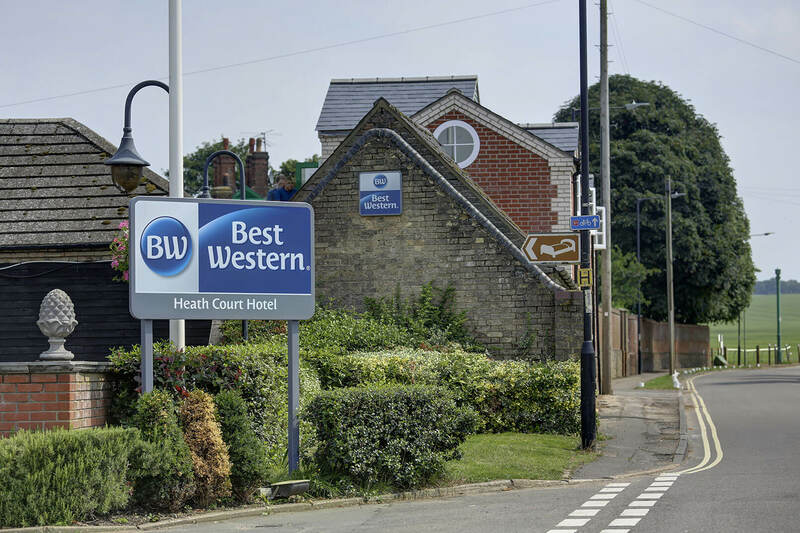 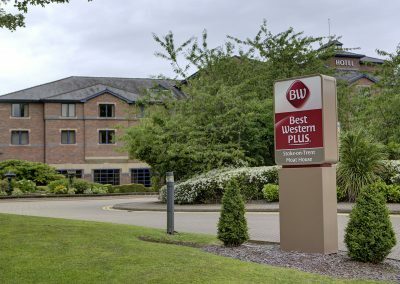 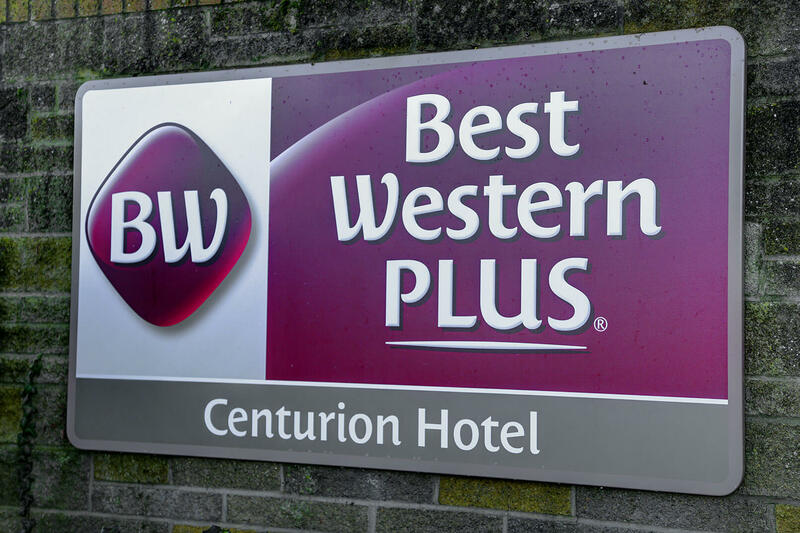 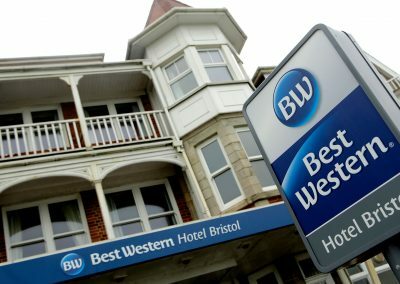 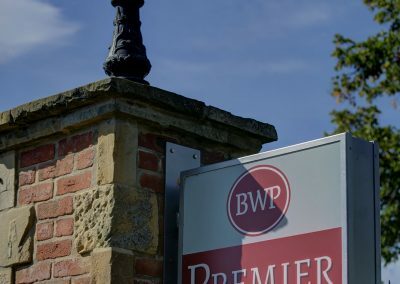 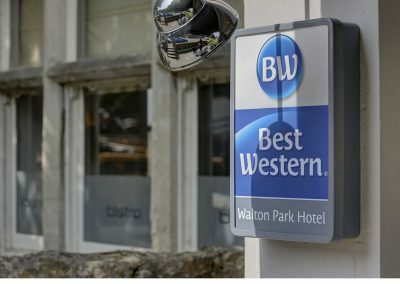 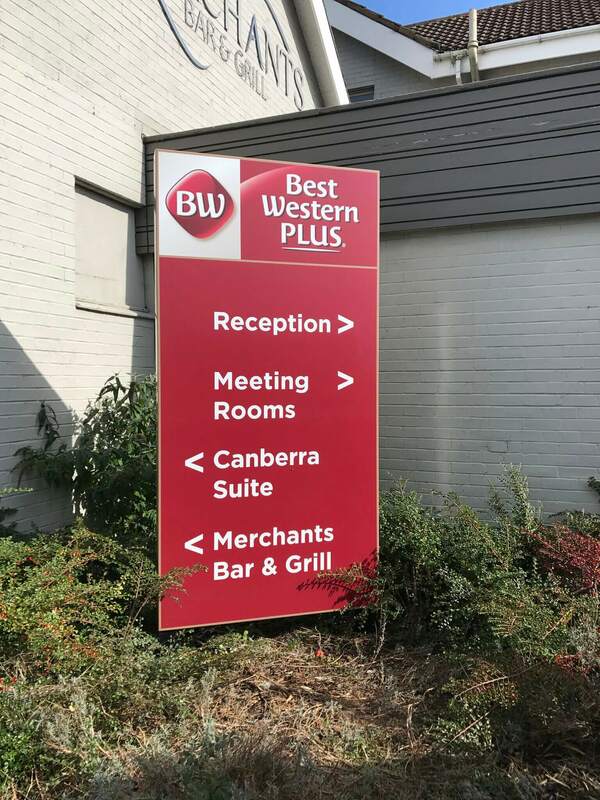 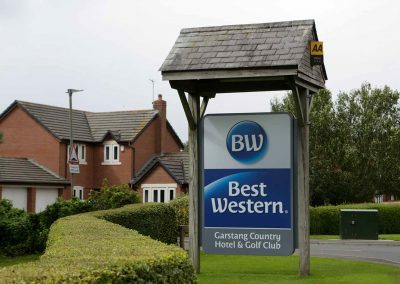 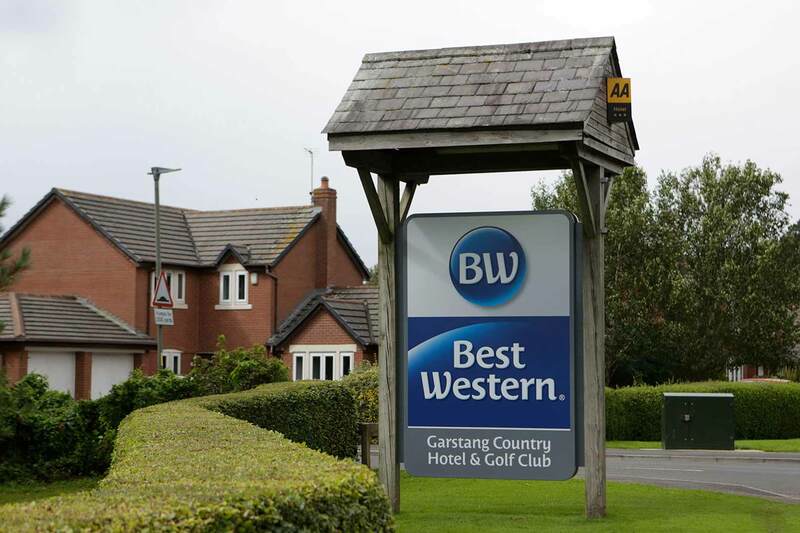 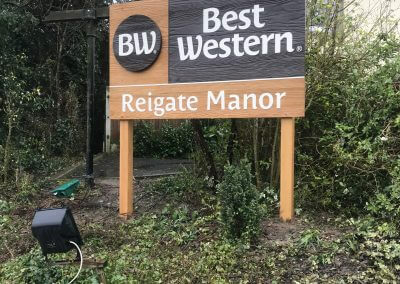 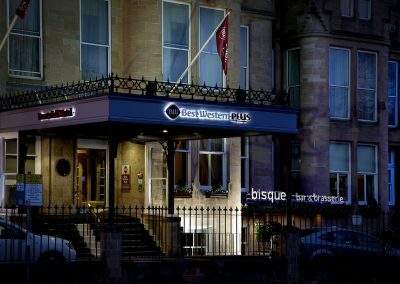 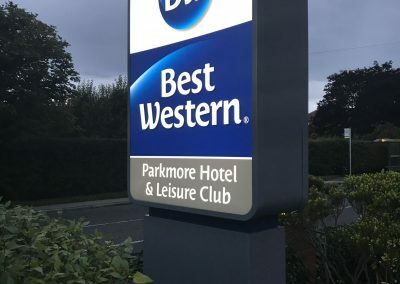 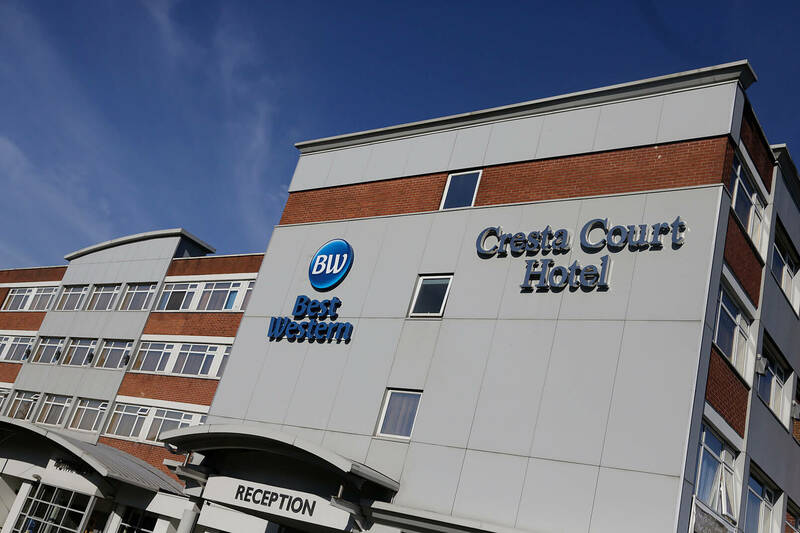 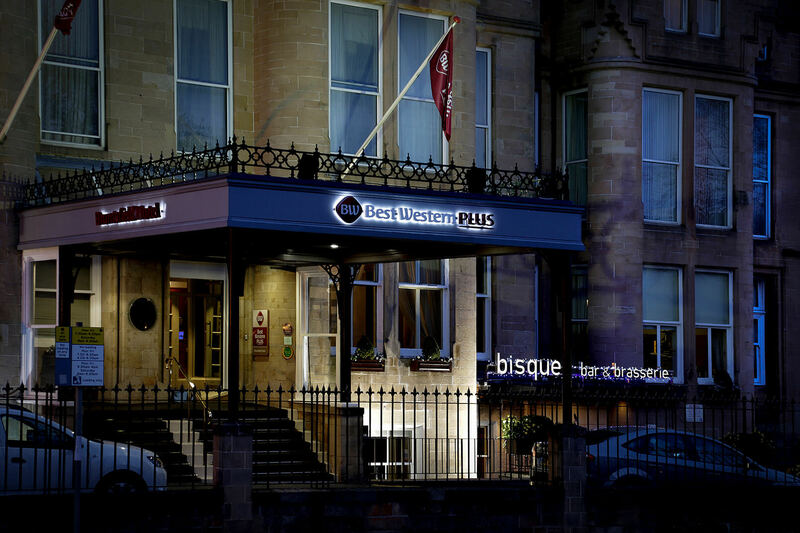 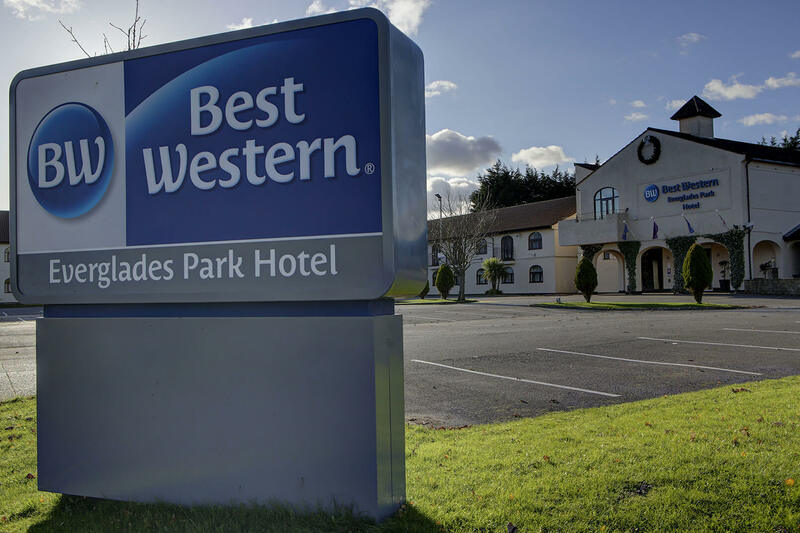 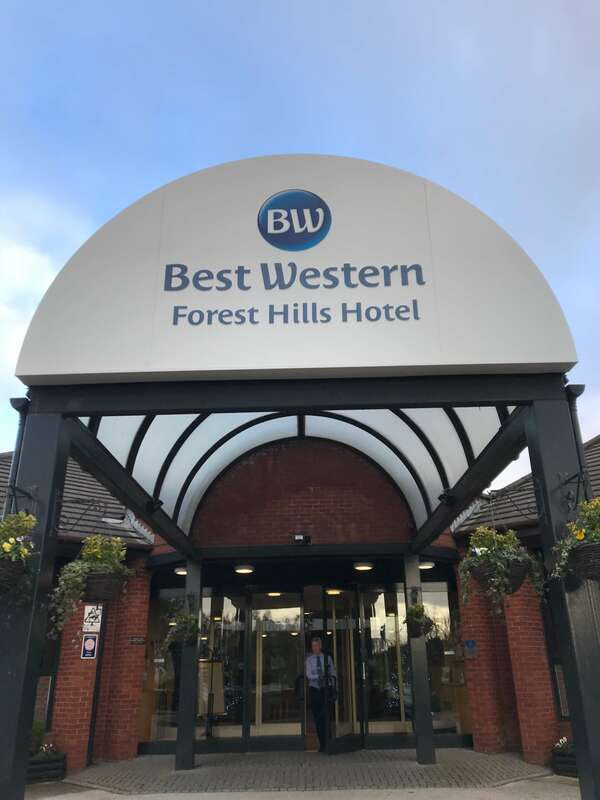 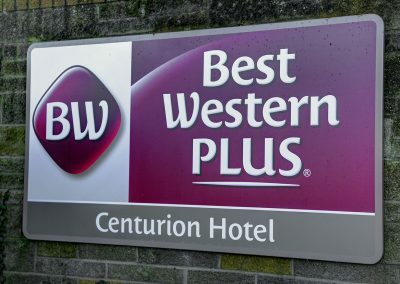 Taylor & Pickles helped implement Best Western’s new branding throughout the UK by manufacturing and installing signage for over 165 member hotels. 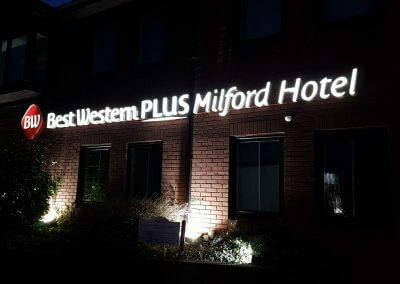 We oversaw the project from the initial site surveys, designing proposals and submitting planning applications, right through to manufacture and installation. 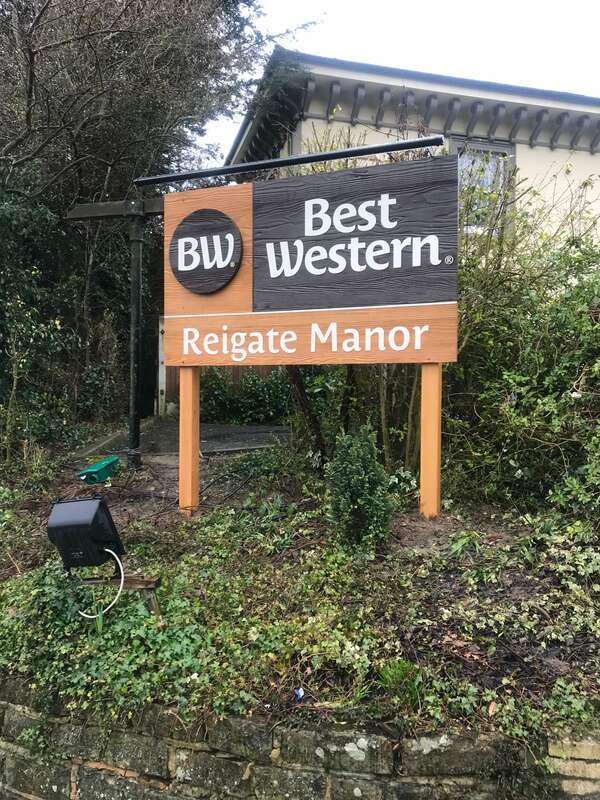 The signage manufactured ranged from hand painted wooden and brass signage for listed buildings and conservation areas, to built-up internally illuminated lettering, coloured by day and white by night. 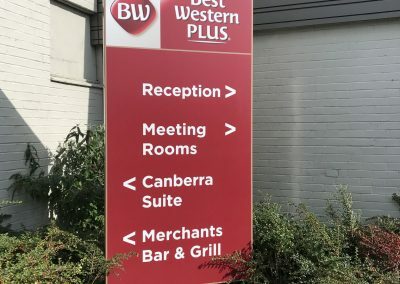 The end result was a fantastic, diverse range of signage installed from the Scottish Highlands to the Channel Islands, all achieved within the required deadline. 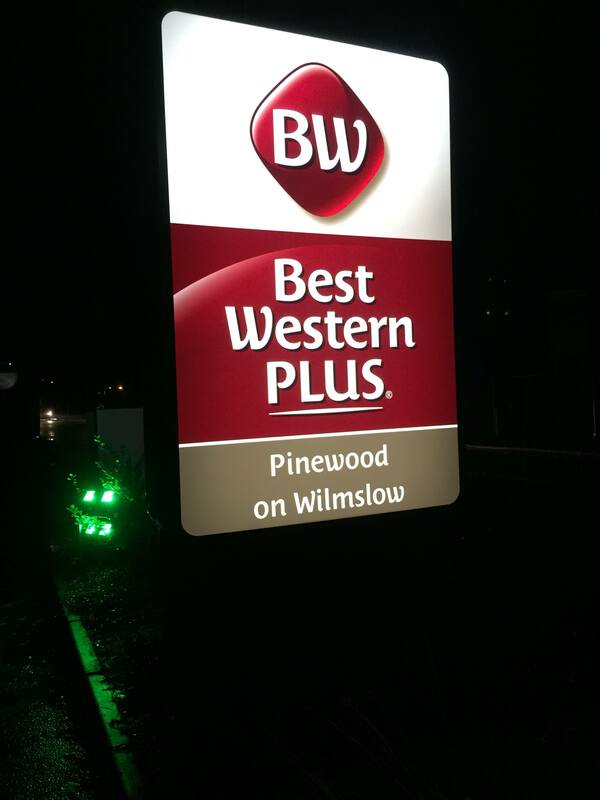 “May I take this opportunity to thank Taylor & Pickles personally for the service provided. 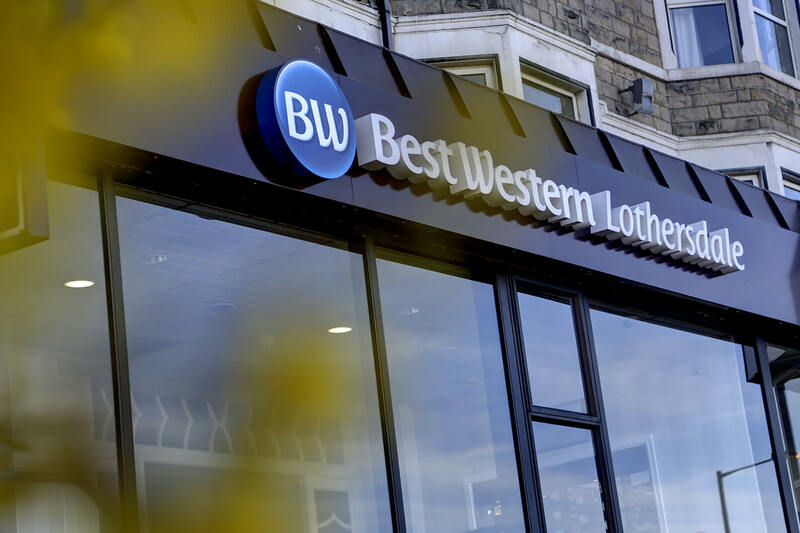 My role takes me out of the office a lot and sometimes it was very difficult to get hold of me, but with your professionalism, experience and thoroughness you were able to keep me within the timescales provided. 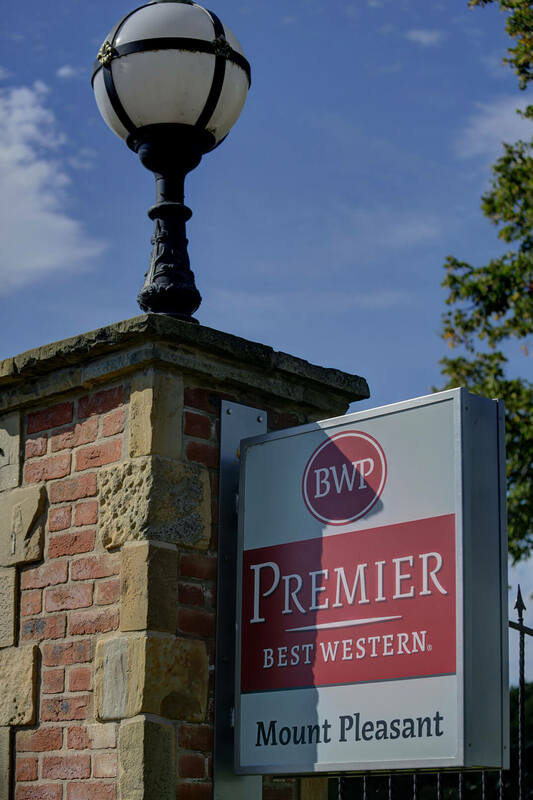 Working with you was a breeze as any questions or concerns on my part were quickly resolved. 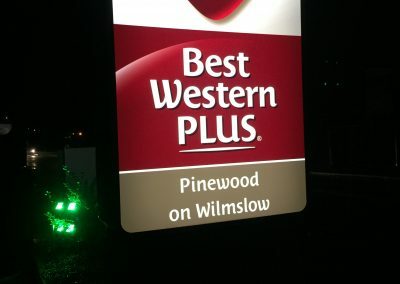 Again, thank you and I would not have any hesitation in recommending Taylor & Pickles’ services”.